Fully qualified and trained to Diploma level with the Edinburgh AMTS School of Sports and Remedial Massage. Qualified to Diploma level with SMTO. 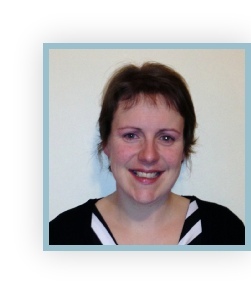 Qualified teacher with Dru Yoga Scotland. at all about the holistic massage therapies I provide. Massage therapy is recognised as one of the oldest methods of healing, with references in medical texts nearly 4,000 years old. It is one of the simplest forms of therapy and is a system of stroking, pressing and kneading different areas of the body to relieve pain, relax, stimulate, and tone the body. Massage does much more than create a pleasant sensation on the skin, it also works on the soft tissues, the muscles, tendons and ligaments to improve muscle tone. Although it largely affects those muscles just under the skin, its benefits may also reach the deeper layers of muscle and possibly even the organs themselves. Massage also stimulates blood circulation and assists the lymphatic system, improving the elimination of waste throughout the body. Your treatment can be at my home or at a location suitable to you. If you choose to come to my home you will find a warm, welcoming and peaceful environment. If you prefer, I can also use a room at the Shrinkme clinic in Cromwell Road, Inverness. I am Wendy Hope and I live in Inverness with my husband and two children. To gain my qualifications, I spent 5 years studying holistic therapies in great detail both in Edinburgh and Inverness. 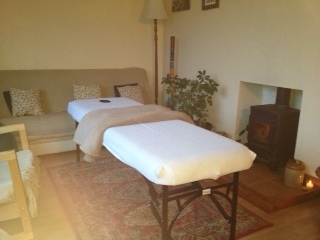 The Holistic Therapies I studied are in Sports & Remedial Therapy, Reflexology, Swedish Massage and Indian Head Massage. Treatments are carefully tailored to each individual client and can be provided at the client's own home or other agreed, suitable venue. I have also had experience of tailoring my treatments for clients with complex health issues like Multiple Sclerosis, Cancer, Motor Neurone Disease and Parkinsons. For the past 10 years I have also worked as a SHCA nurse with Marie Curie Cancer Care. More recently, I have been trained as a Yoga teacher at the International School of Dru Yoga in Edinburgh. Yoga complements my holistic massage therapies. Yoga can help you improve strength & flexibility and deeply relax and rejuvenate your whole being.